Take your senses on a tropical trip without even leaving your shower. 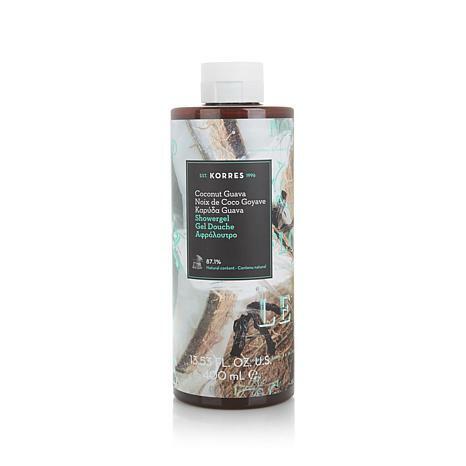 Formulated with wheat proteins and other fine ingredients, this creamy foam shower gel helps moisturize and smooth the look of your skin, leaving it scented with the refreshing blend of exotic coconut and guava. Make your escape to an oasis of luxury. Love this! Smells like a tropical vaca! Feels so silky on your skin! Really clean. I also love the body lotion! Ordered the mango, cant wait to try! 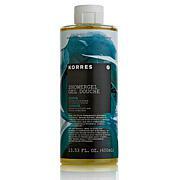 I have many Korres products and love, love, love its shower gels in particular. Each one leaves my skin feeling so soft, yet clean. I love the scent of coconut and combined with luscious guava, makes for a yummy scent. Will be purchasing more of this scent, guaranteed; thanks HSN! I used it on part of skin and body. So, far so good! I hope my skin really loves it because love it! Thanks, Korres! Love all theKorres bath and skin products! This is a favorite of my whole family, make and female!